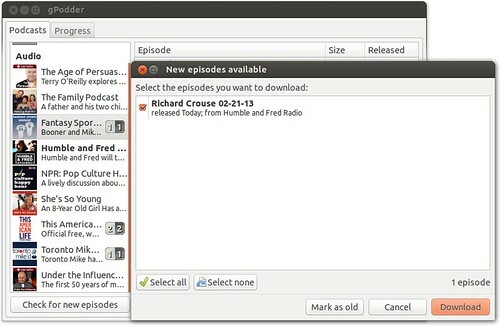 My current lifestyle includes very little driving, so I'm listening to most of my podcasts on my Ubuntu Linux desktop. 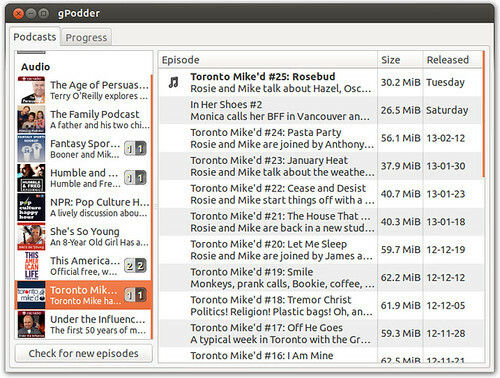 My podcast client of choice for Linux is gPodder. 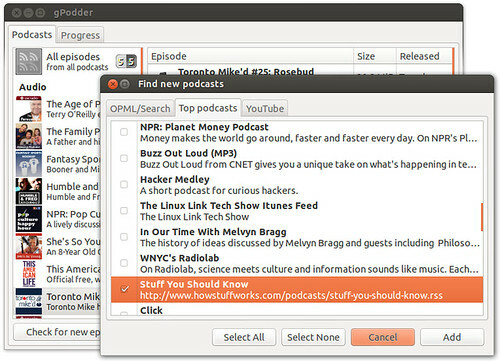 gPodder makes it very easy to discover and subscribe to new clients. If you know the subscription address, you can subscribe directly. 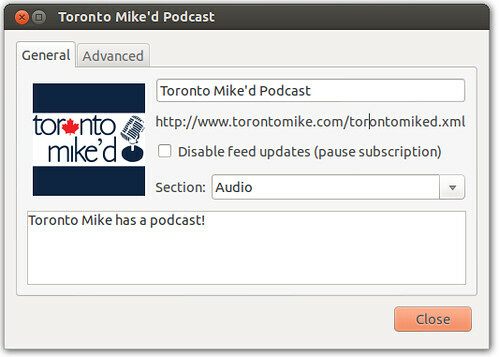 The address for subscribing to Toronto Mike'd, for example, is https://www.torontomike.com/torontomiked.xml. It's super easy to peruse all the episodes of a particular podcast, download the MP3 or delete one you've already listened to. Once a day, after my swim and while I prepare my lunch, I check my feeds for new podcasts and download them for afternoon listening. Linux? That will be helpful for the .03% of us who work in Linux. On my Mac and Windows machines, I use iTunes, but rarely b/c I do 99% of my podcast listening in Linux and Android. On my Android devices, I really like the BeyondPod Podcast Manager. That's how I listen when I'm not sitting at my desk. That just means that 99.07% of the rest need to check out Linux. Does it do variable speed playback (with pitch compensation)? iPods do it, but last I checked, iTunes annoyingly did not. On Android, I use Doggcatcher with the Presto add-on, which lets me listen to stuff at 1.5x without it sounding ridiculous. I just don't commute enough to get through all my podcasts in real-time. At home I much prefer to listen to music. Presto works with BeyondPod too.